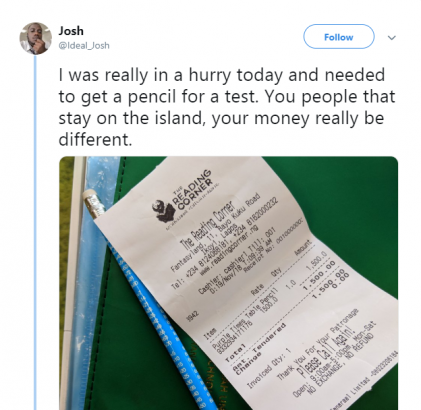 Lmao… A man has taken to twitter to hail those living on the Island saying their money is different. 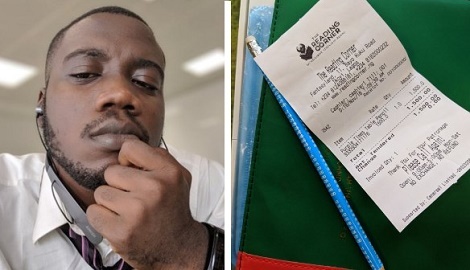 The man who was on the Island for a test, said he needed a pencil urgently and was shocked to have been billed N1500 for it. Lol, I know myself o, I know myself. You dare print without telling me you guys charge differently from the world and give me a N1500 bill, cus I am sure that pencil won’t have a price tag… nah, you will take it back. See, there are somethings that aren’t just worth it. I might move out of that bookshop and at the car park right there, give out N1500 to 10 people in need, so I am not selfish, that guy shouldn’t have bought it, someone can cut pencil for him at the centre o, LOL we all did it in school, I lie? Lmaooooooo. His complain below… N1500 for what nau? How can i buy a pencil for 1500?